Previous Post England Rugby Skipper Tackles visit to Mitsubishi Motor Next Post Raging Bull Rugby Class Feb 17th & 18th 2009! Gloucester, 29 October 2008 – Raging Bull Clothing Limited, England rugby and Wasps prop Phil Vickery’s exclusive sport and leisure clothing company, has announced a major new deal with high street retail chain High and Mighty. The clothing store offers cutting edge fashion to big and tall men and is the latest retailer to be stocking the brand new winter 08 leisure collection from Raging Bull. The new Tough Enough range comprises urban design short and long sleeve pique polo shirts, short sleeve slogan casual t-shirts, leisure rugby-style jersey shirts and branded hoodies. Extremely durable, high fashion quality fabric with clean and sharp designs and a focus to unique detail, Tough Enough delivers tough, versatile leisure wear for sports-minded people. Looking forward to next season Raging Bull’s spring 2009 collection extends the range even further with on trend casual shirts and bottoms. 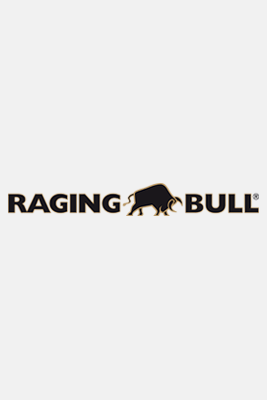 Located in Churcham, Gloucestershire, Raging Bull Limited is the official Phil Vickery range of exclusive, branded clothing for sports and team wear, leisurewear and corporate clothing. The focus is on functionality, innovative design, quality construction and durability. For women, the Moody Cow brand offers the same brand values, plus clothing for hockey, netball and gym. Available online at www.ragingbull.co.uk and through stockists including: www.kitbag.com, Wasps Club Shop, www.rugbystore.co.uk and The Rugby Store at Twickenham, and independent fashion stores. Phil Vickery MBE, England rugby captain and prop at London Wasps, is a member of the successful Rugby World Cup winning team of 2003 and led England to the finals in 2007. A major force in the world of rugby, he is recognised as one of the finest front row forwards in the world, combining awesome scrummaging technique with superb handling skills. Phil established the clothing brand in 2003 to provide a range of high performance sports wear targeted at sports clubs, schools and colleges, and now with a ever-growing casual label offers a range of clothing that looks good on and off the field.